© Great Arrow. All rights reserved. Hand silkscreened, a process that produces rich colors and a distinct look and texture. 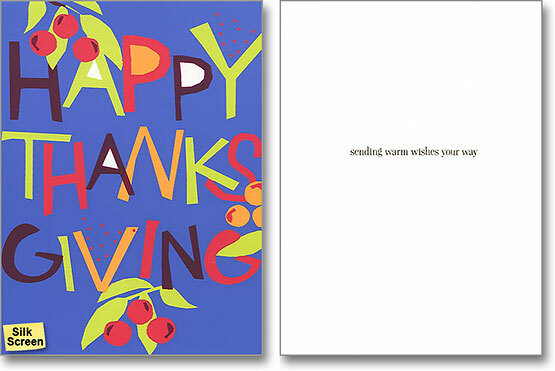 Great Arrow Graphics published its first line of six greeting cards in 1984. Today the company shares space in a former Model T assembly plant in Buffalo, NY. Great Arrow uses a hand silkscreening technique more than a century old. Printers employ a deft touch, making multiple passes—one for each color—over a mesh screen. This painstaking process creates cards that have a richness and saturation that simply cannot be replicated by standard lithography. A colorist works with a palette of more than 500 colors to create the precise hues required by the designer's vision. Environment: Made with recycled materials.